There are plenty of sites out there with user-generated royalty free photos Top 10 Free Websites for Quality Copyright Free Photographs Top 10 Free Websites for Quality Copyright Free Photographs We've compiled a list of the best stock photography websites to ensure you have access to millions of free stock images instantly. Read More , but few are curated and closely-monitored like Unsplash. Powered by a community of photographers, the site is curated by Crew, a marketing agency, so that all photos that appear on the site are handpicked. You’re confident that you’re getting high-quality photos, and might even find it difficult to narrow down your choices. You’re confident that the photos are completely free to use. While other sites provide Creative Commons photos, the fact that users upload the content directly to those sites means there’s no quality control and you can’t be fully confident in the licensing. But the images on Unsplash come with a generous license: they can be used for personal or commercial projects with no attribution necessary. Unsplash has a collection of over 200,000 images, with new images added on a daily basis. 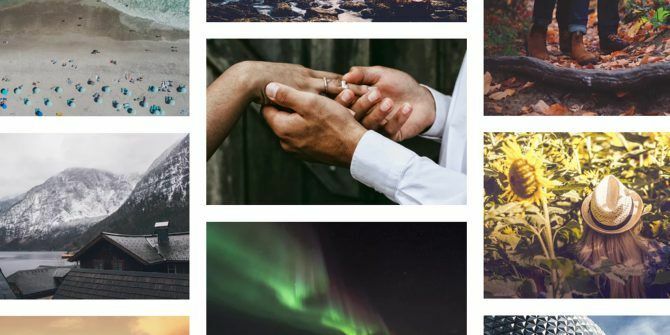 The photos are contributed by over 40,000 photographers, and creating a free account allows you to follow photographers and create a collection of your favorite photos. If you’re looking for inspiration, you can also take a look at their curated collections. If you’re looking for free-to-use, headache free photos that you can share with the confidence that you won’t be hit with a copyright violation — head over to Unsplash. What’s your favorite place to find high-quality images to use for free? Let us know in the comments. Explore more about: Freebies, Stock Photos.